*All the cc and sliders used in this creation are included in the download link to make it easier but I'm in no way claiming these as mine. 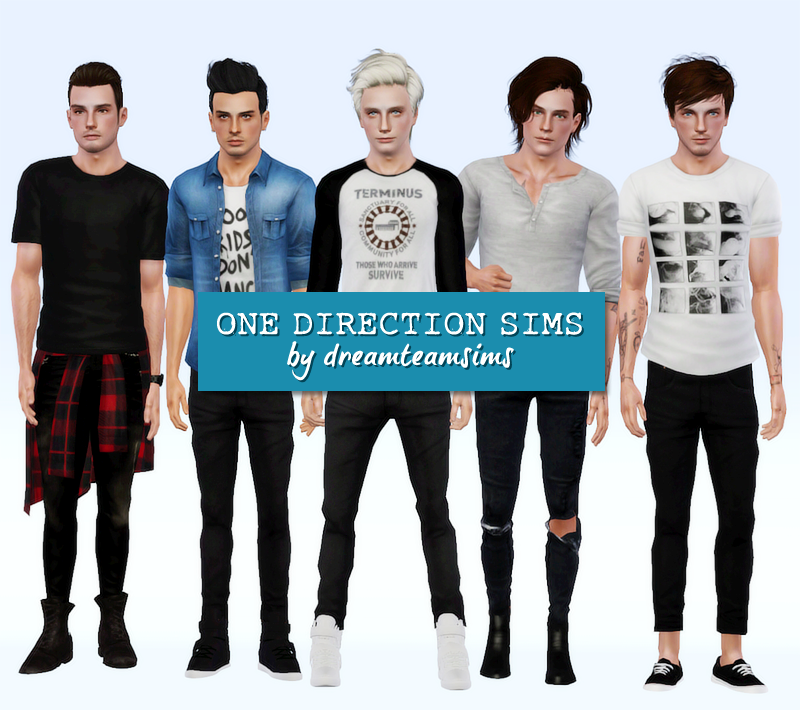 IMPORTANT: These sims were created using sliders, so you need to put the sliders files that comes with this download in your Mods folder or their face features will be completely lost and they won't look like they should. ** Adfly, Wait 5 seconds and click “Skip Ad”. Do not click/download anything else. Thanks for supporting me! 2 comments on "[Sims 3] One Direction Sims"